Jane, Dan and I drove to Santa Fe and visited with Amy for the weekend. 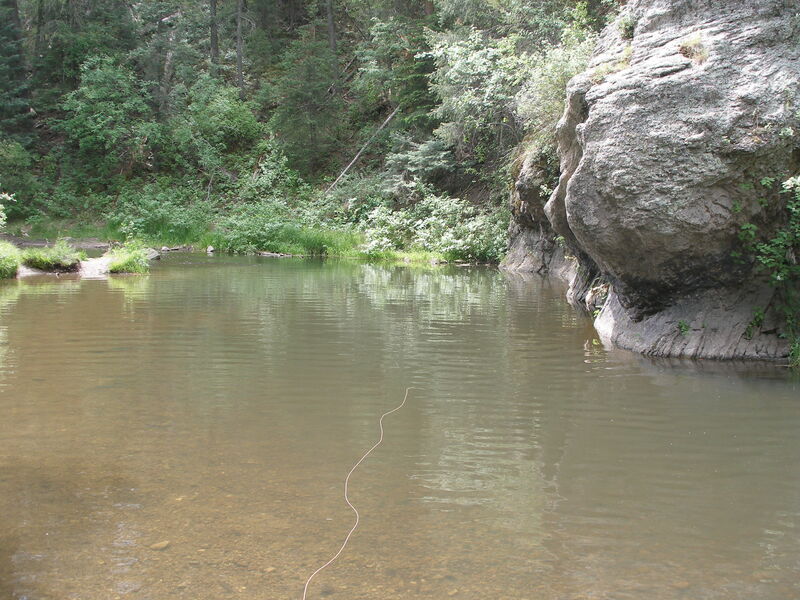 I stopped by the fly shop in Santa Fe on Saturday and bought a one-day license and obtained directions from the shop on where to fish the East Fork of Jemez Creek. 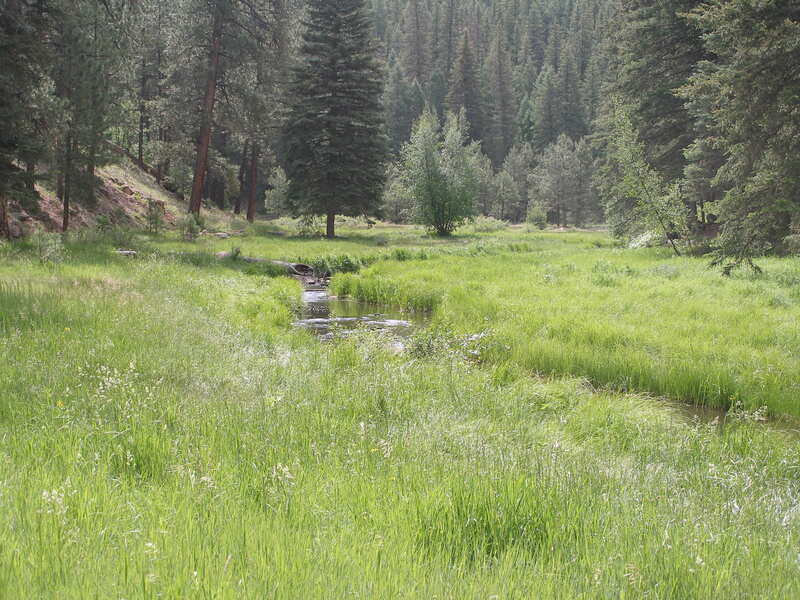 On Sunday morning, I drove north from Santa Fe, and then took route 502 toward Los Alamos, and then I turned left on to NM route 4 to the Jemez Mountains and subsequently to the third crossing of Jemez Creek. The creek was quite small, low and clear. I hiked for .3 mile or so to get away from the presumably pressured water near the road. 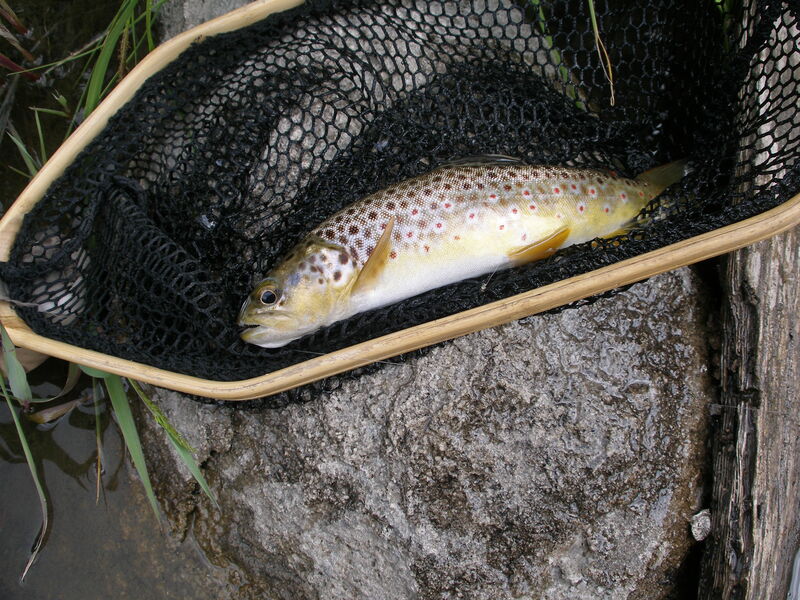 I began fishing in a nice deep pool next to a large rock wall with a caddis, but I was not creating any action, even though I could see numerous small brown trout. Eventually, I added a small glass bead WD40 on a dropper 18 inches below the caddis and began to catch a few small browns. On the day roughly half the landed fish took the caddis and half grabbed the small trailing nymph. I caught two in the pool that I started fishing in. I worked my way upstream and caught additional small browns in more obscure lies along the bank or near rocks. Towards the end of my time on the water, I encountered some long narrow smooth pools. The water looked much the same over the entire length of the pool, but I prospected with some long casts and caught the two largest browns of the day in this manner. Large was defined as 10 inches. A lot of teenage hikers began to appear, and they hiked along the path right next to the small clear creek. This assuredly was not good for the fishing. I quit around 12:45 and hiked back to the car, so I could drive back to Santa Fe to meet Jane and Dan for the return trip to Denver around 2:30PM.